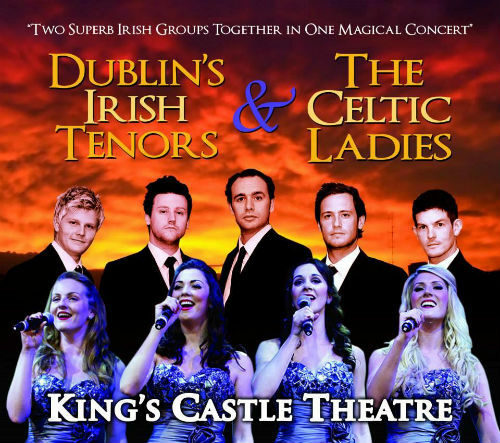 If you’re looking for the best Dublin’s Irish Tenors & The Celtic Ladies coupons, you’re in the right place! Dublin’s Irish Tenors and Celtic Ladies have mixed the best of traditional Irish music with contemporary songs of today, for a new level of entertainment! The 5 Irish Tenors and 4 Celtic Ladies will have you singing along with them during this beautiful performance! While the focus of the show is Irish music and songs, it also contains an assortment of jazz, pop and rock n roll! This act is so musically diverse, the ladies and gentlemen will delight and entertain you with music spans the genres and eras through history! Some of the songs you will hear include: “Danny Boy”, “Rolling in the Deep”, “Hey Jude” and “Nessun Dorma”, all will leave you wanting to hear more! While exploring some of the most famous modern and traditional irish tunes, the show also features some of the biggest hits of opera and classical music as well! The staging, singing, dancing and costumes make this show a one in a million production! Audiences of all ages will enjoy this musical journey, called Dublin’s Irish Tenors and Celtic Ladies!